The tauren race is one of the more interesting prospects for roleplay, even if they might not seem like it at first glance. In the last ten years or so of Azeroth’s history, the tauren have arguably seen more turmoil than any other race on Azeroth. They haven’t just witnessed wars and conflict, they’ve uprooted their entire way of life from the ground up and watched it shift and buckle around them — for both good and bad. This gives tauren roleplayers a lot to think about when creating a character, and a lot of potentially thought-provoking and goosebump-worthy moments for character development. And because we’re dealing with so much, in such a short span of history, it means these events shape and color pretty much every tauren character out there, with the exception of the very, very young. They’ve seen a fascinating shift from nomadic warriors and druids, deeply in touch with the heart of the world itself, to the world of politics, diplomacy and war. It’s a hard road to traverse, but the tauren have managed to do so and thrive, thanks largely to the guidance of a leader taken from them in a moment that many still grieve today. Tauren are one of those races that have a very odd set of age ranges in the Warcraft RPG guides — the listed age for maturity is either 15 or 50, depending on which source you happen to be looking at. However, the general agreement seems to be that a tauren is downright old when they reach 100 years or so (Cairne Bloodhoof, for example, was about 106-107 or when he passed away), which makes the idea of tauren younger than 50 still being considered children absolutely weird. For this reason, we should probably veer away from the RPG guides altogether, and simply look at Cairne for that example of age. If 100 is considered very old, then realistically, tauren life spans likely match up with other races that have similar life spans. In this case, maturity would be reached at 15-18, maybe 20 if you really wanted to push the envelope. 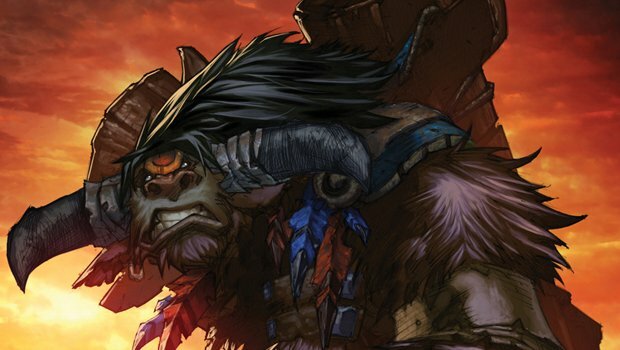 What this boils down to, when you look at the timeline of events in World of Warcraft so far, is that a tauren who is just now turning 20 years of age would’ve been about 10 or 11 when Thrall and the new Horde came to Kalimdor, the tauren joined the Horde, and Thunder Bluff was founded. This also means that unless you’re playing a very young character, they likely remember the days of wandering the plains of Kalimdor in nomadic tribes, and conflicts with the centaur. Ordinarily, I’d say if you wanted to make your tauren very, very old, you could explain that away with magical means — but tauren work a little differently than most races of Azeroth. They are very nature-attuned, and while they recently have begun to study the teachings of An’she and now have practicing paladins and priests, they don’t have mages or warlocks. This doesn’t mean that you can’t work your way around a story in which your tauren has a considerably longer lifespan than absolutely necessary, of course, it just means that you’ll want to keep the apparent tauren aversion to arcane and fel magic in mind while you are doing so. The tauren race doesn’t exactly have a lot of history — because the tauren were nomadic up until only recently, history was typically told through stories, rather than written down in books they’d have to lug from location to location. There are some pretty big creation tales for the tauren race that can be read in the main tent on Elder Rise in Thunder Bluff, but beyond that, there aren’t really a lot of tales to be found. This actually works in the favor of tauren roleplayers, because they are free to write or tell whatever kind of historical myths, legends, or accounts they’d like to make up — tauren make really good storytellers. Because tribes were nomadic up until the point that Cairne Bloodhoof united them all and founded Thunder Bluff, it means that these wandering tribes each likely had their own accounts and oral records of things that happened while they were out traveling the world — so you’re not likely to run into conflicting stories with other players. As we’ve already said, Cairne Bloodhoof brought the scattered clans of the tauren together during the Third War, in an attempt to found a united city in the homeland of their ancestors — Mulgore. The whole reason he wanted the tribes united was because the centaur of Kalimdor were systematically hunting the tauren to extinction. Rather than see his people die out, he wanted to bring them together in a place that was easily defended, presenting a united front to fight back the persistent centaur threat. The founding of Thunder Bluff was pretty much a testament to exactly how much Cairne was beloved by not only the Bloodhoof Tribe, but all tribes — without Cairne, Thunder Bluff would not exist, the tauren would not be in the Horde, and the tauren race might very well have gone extinct. Tauren players have an interesting story to work with here in terms of backgrounds, because they’ve lived through what is pretty much the most tumultuous period of history the tauren race has likely ever seen. Within the span of just 10 years they have seen tribes united, an entire city founded, new allies gained, the rise of a school of magic long, long lost to time, the betrayal of the Grimtotem, the death of their beloved leader and subsequent coup of the city, and the rise and fall of Garrosh Hellscream. It has been an absolutely insane, wild, unpredictable ride for a race who, prior to Cairne’s guidance, likely spent their days simply roaming the plains and defending themselves from marauding centaur, living a life free from political obligations, machinations, and scheming. Obviously the death of Cairne Bloodhoof hit the tauren race particularly hard — here was a leader who was a shining beacon that all tribes followed, with the exception of the Grimtotem and few others. His death wasn’t just a tragedy, it was a shattering blow to the peaceful harmony of co-existing tribes that Cairne had worked so hard to build. The Grimtotem have been by and large dealt with, but in the wake of the coup, it was blatantly clear that Garrosh Hellscream valued the tauren more for their size and their prowess in battle than their moral standings — in fact, Garrosh likely would have thought the tauren perfect soldiers on the same level as his orcish brethren, had they willingly thrown those morals out the window. Because of the nature of Cairne’s death, tauren roleplayers have an easy way to justify their reasons for going to Draenor, something that runs a little deeper than just helping out the Horde. Garrosh Hellscream escaped, he was not brought to justice for the crimes he committed, and one of those crimes including killing Cairne. Sure, it might have been an accident on Garrosh’s part — after all, he wasn’t aware that Magatha had poisoned Gorehowl with her “blessing” just before the makgora between Hellscream and Bloodhoof began. 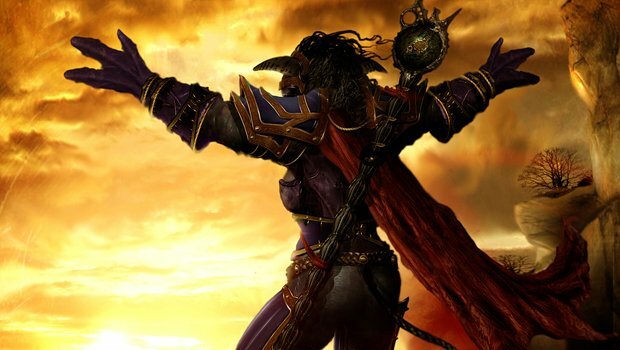 That makes logical sense to us as players, but as a tauren in Azeroth, that action may not be so easily forgiven — particularly after the way Hellscream acted in Pandaria and later in the Siege of Orgrimmar. Beyond that, though, is the fascination the tauren race has with all things natural. They were among the first druids, right along with night elves — and Draenor has some of the most curious, interesting, and downright bizarre plant life on any planet. The natural order of things on Draenor is a far cry from what we’ve seen on Azeroth, and tauren may be interested in that, too. Although the tauren may not have been involved at all with the events of the First and Second wars, oblivious and simply living their lives over on Kalimdor, it’s extremely unlikely they’d ignore a threat like the Iron Horde these days — especially after the horrors they just witnessed during Orgrimmar’s siege. 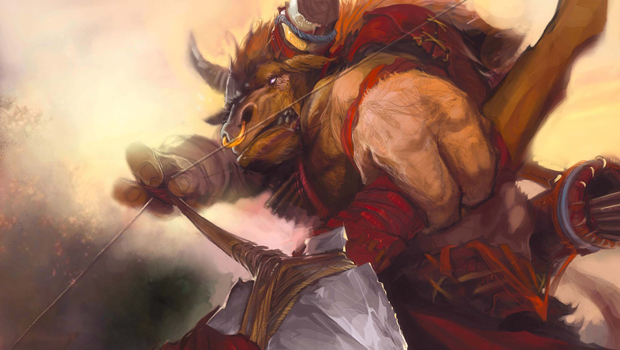 Although tauren are sometimes portrayed as gentle giants, they possess an incredible amount of inner strength, resolve, and likely more than a little anger at the way the last ten years of history have played out. 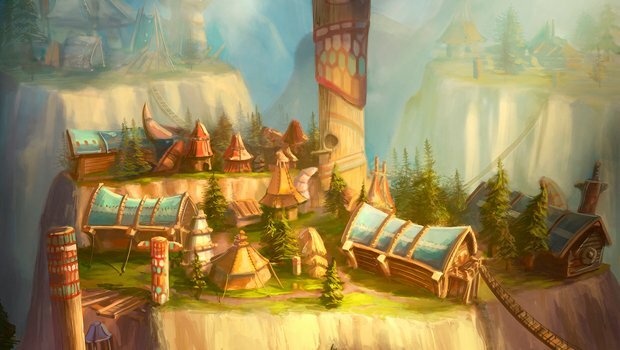 Tauren characters have an interesting road ahead as their new leader, Cairne’s son Baine, paves the way forward into the future — whatever that future might hold.